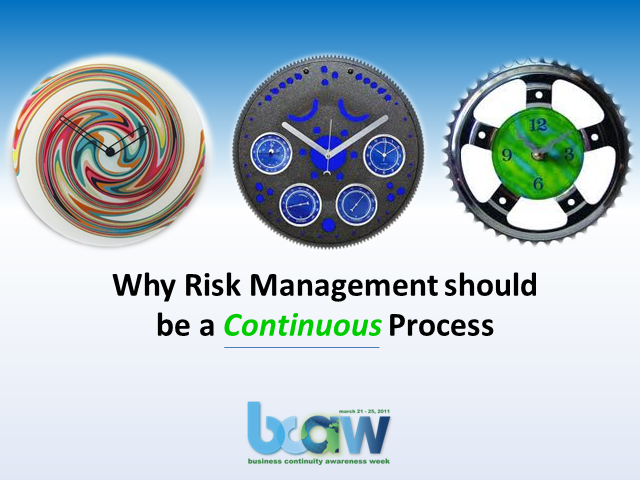 Why Risk Management Should Be A Continuous Process! One of the paradoxes of our time is that processes which, by design are meant to be intrinsically continuous, often suffer a lot of discontinuity resulting in their loss of momentum and effectiveness. Risk management processes are by no means immune to such stop-start pitfalls. Title: Why Risk Management Should Be A Continuous Process!